This entry was posted on May 13, 2010 at 3:11 am	and is filed under Art spaces, Buddhist art, Events, Gallery shows, New York, Religious art, Thai, USA, Venues. 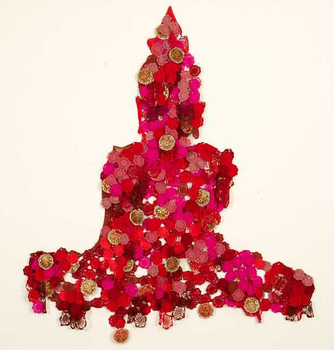 Tagged: Ananya Mukherjee, Buddhism, installation art, Jakkai Siributr, Karma Cash and Carry, new york, Religious art, textile art, Thai artists, Tyler Rollins Fine Art, Video art, Viewpoints and Viewing Points - 2009 Asian Art Biennial. You can follow any responses to this entry through the RSS 2.0 feed. You can leave a response, or trackback from your own site. Going to New York this weekend. Will try to check this out.